If you are on the hunt for real easy recipes this one is a winner! These chicken and cheese quesadillas are so simple to make. This is perfect for a busy week night when you need to get dinner on the table fast. 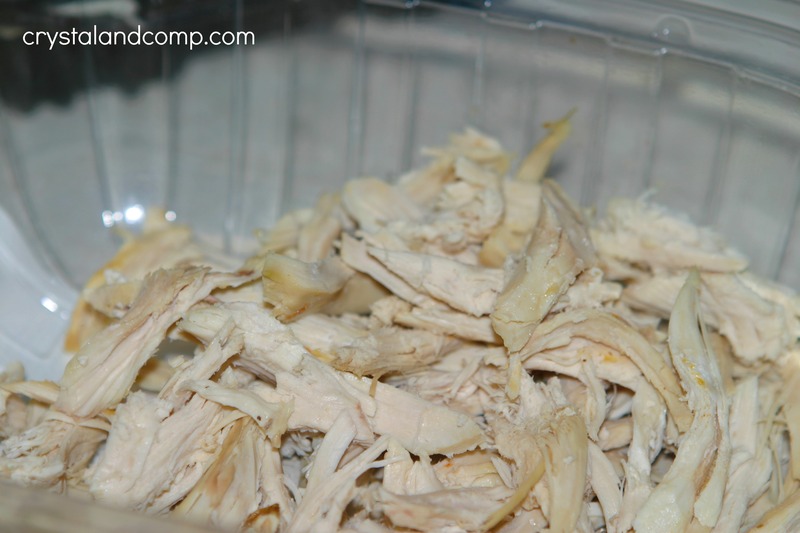 I used a rotisserie chicken and shred it up to make the prep even easier. I also used refrigerated tortillas. Have you ever tried them? So fresh and delicious! They taste like you made them from scratch. Over a medium heat, lightly brown each side of the tortilla. 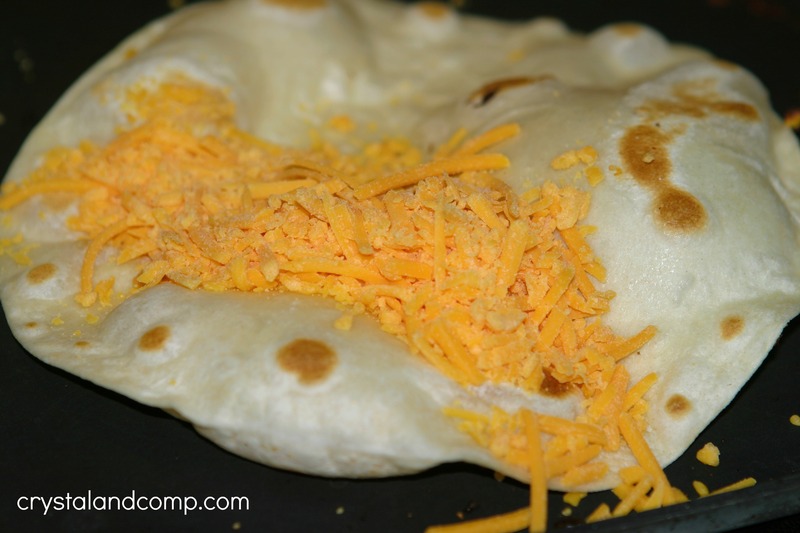 Add a handful of shredded cheese to the tortilla. On top of the cheese add a handful of shredded chicken. 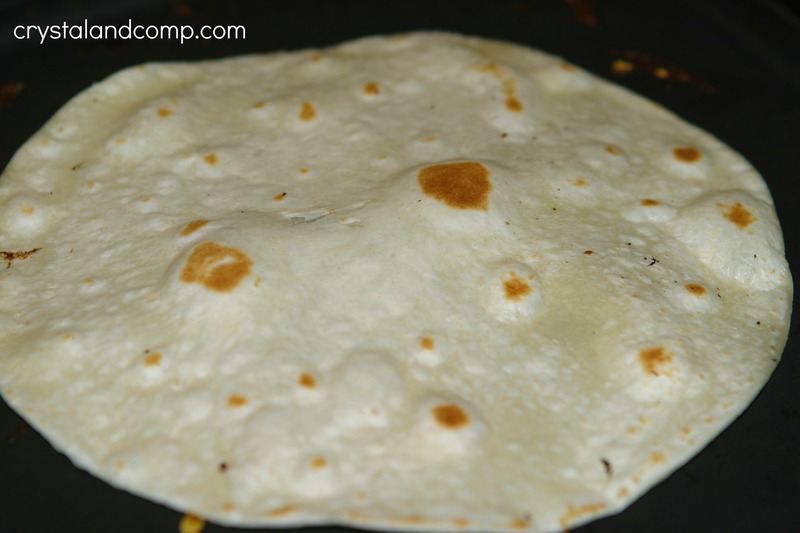 Fold the tortilla over and press with a spatula to seal well. 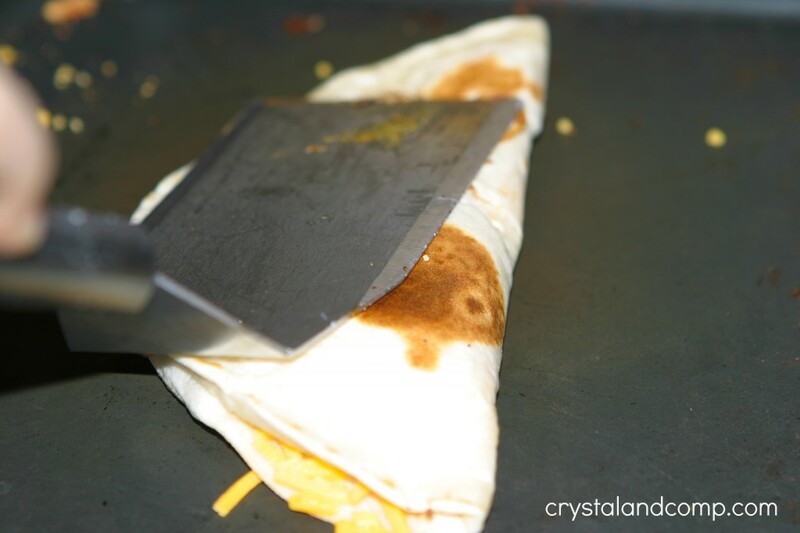 Cook the tortilla for 1 minute on each side, being sure not to burn the tortilla but to also melt the cheese. Plate it up and top as you please. I like to cut the tortilla in half to make it easier for the kids to manage. 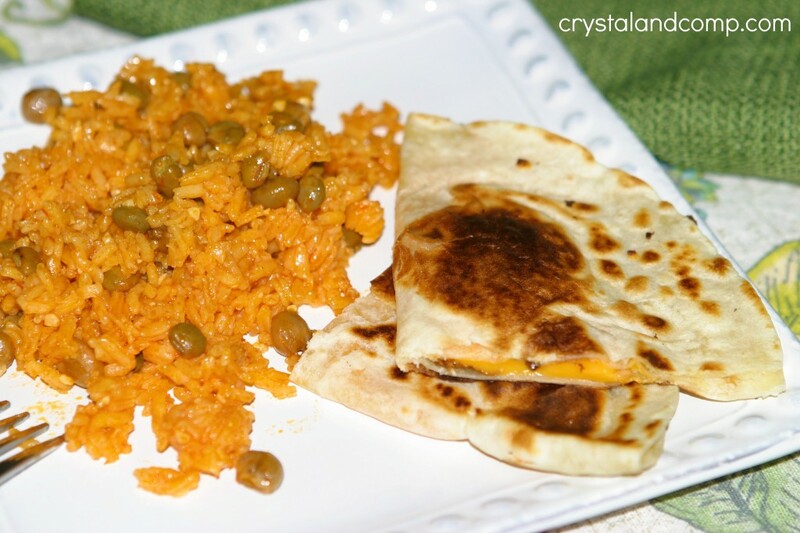 We served it with Puerto Rican Rice which I started before I started the quesadillas and then once the quesadillas were done the rice was done too. You’re making me hungry!! I shouldn’t be reading your blog late at night… I wanted to thank you for your great blog… Being featured several times on your blog for mommy advice was so inspiring when I was starting blogging! Thank you for your great blog! Theresa- you are so sweet! I am so grateful to have you as a reader here and I love all of the awesome mom advice that you share. These look scrumptious, and I love the idea of using rotisserie chicken! Using the rotisserie chicken makes prep and cooking for much faster! With a husband that ONLY eats meat, cheese and potatoes, it’s very hard to come up with variety! He’ll do tacos, hamburger helper, and mac with any meat…. Where I like fruits, veggies, soups, casseroles, spaghetti, etc. It’s SO hard to come up with new ideas. This is really simple and easy to do! Thanks for sharing!